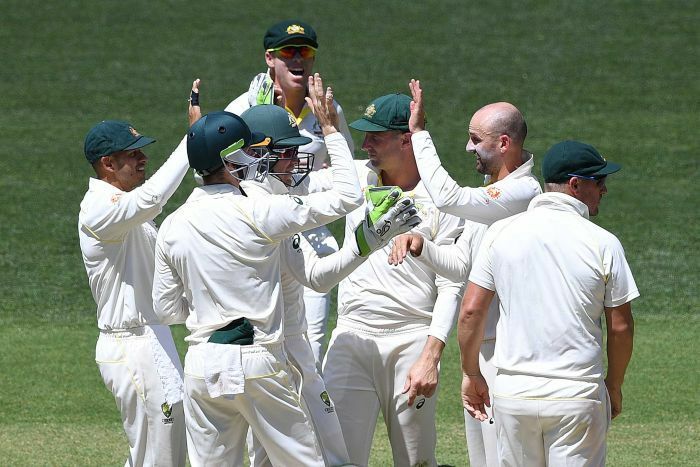 But on the first day of its summer-long redemption mission, it was Tim Paine’s team who profited from the guileless gung-ho of the opposition. 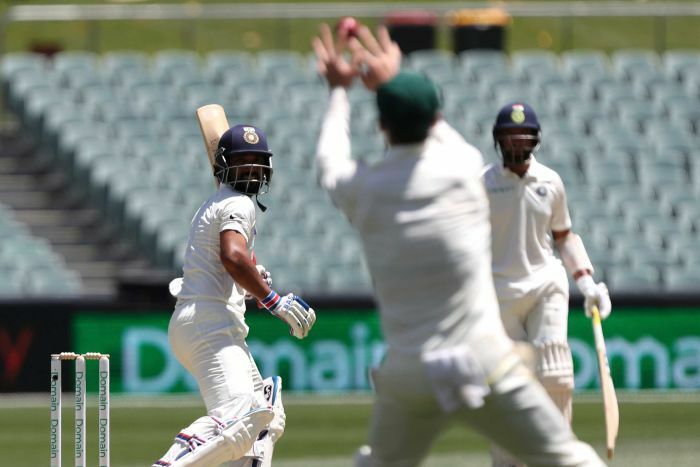 Hopped up on adrenaline and the sense of urgency that comes with a once-in-a-generation chance to win a series in Australia, India’s top order batted with a recklessness that betrayed its quality. 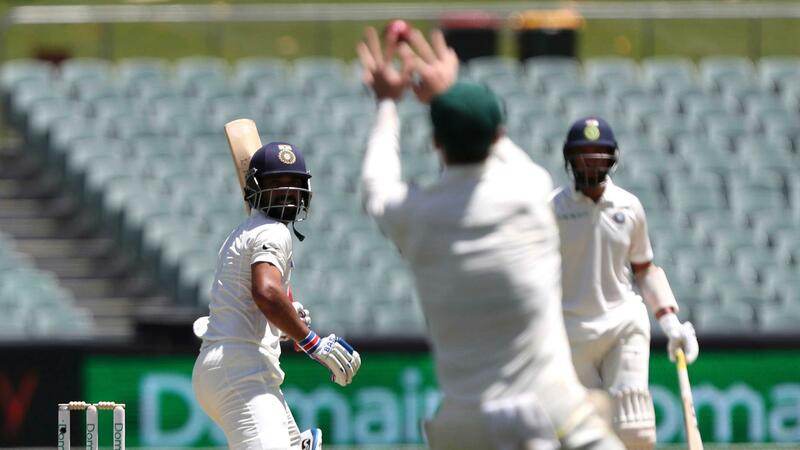 If India’s goal was to flag its intentions by sending an intimidatory message to Australia’s bowlers, then it was a poor idea, poorly executed as one needlessly loose dismissal followed another. That all this occurred on the first morning of an Adelaide Test, after winning the toss and obviously batting, could make anyone with even a slight awareness of the ground’s history shake their heads clean off. There was a 51-minute stretch in the afternoon session where madness really reigned supreme. It coincided with Rishabh Pant’s time at the crease, an innings that still seems a little surreal upon reflection. Pant swung and flayed, edged and missed, hoiked and dribbled, simultaneously playing like someone who had never picked up a bat before and a veteran of the game who had earned the right to treat the world’s best bowling attack with complete disdain. Most perplexing about Pant’s innings was how easy he made it look when he just kept it holstered for a minute. That strangeness was true for most of India’s innings. Faced with very good, but hardly unplayable bowling, India showed it could bat with relative comfort when it truly put its mind to it. 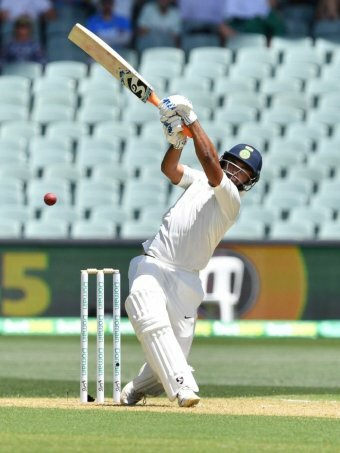 Cheteshwar Pujara alone proved how possible it was to bat time, something that is usually just taken as a given on the first day of an Adelaide Test. The pitch was lively but not threatening, and the bowlers’ greatest weapon was accuracy, which they wielded with genuine skill. And yet, India’s esteemed top order conspired to find ways to get themselves out. While discussions of which of these four dismissals was the sloppiest — the answer is Rahane’s — suddenly a new contender emerged. It’s worth pointing out that all of this bedlam took place in the first half of the day. From about drinks in the second session onwards, the game looked an awful lot like an actual Test match. 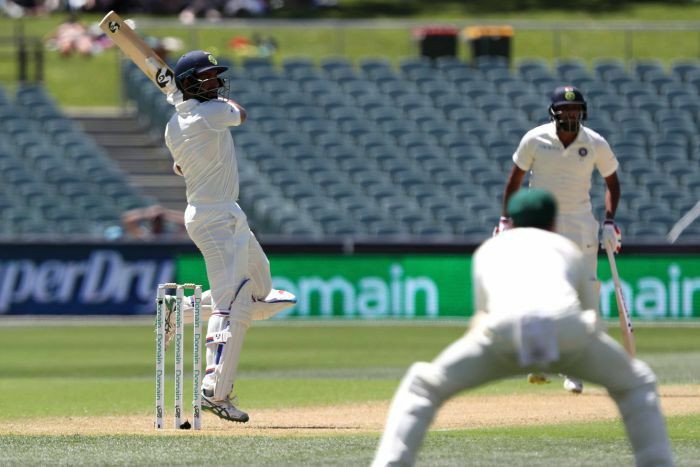 Australia’s bowlers tired, as was to be expected in smothering heat, and became wayward in the final hour — save for Cummins, whose last-second run out of Pujara deserves another thousands words all for itself. By stumps, the score of 9-250 didn’t exactly seem particularly horrendous — short of par, yes, but well past the point of unrecoverable disaster.